Thank you for visiting MEPOS! What kind of application are you looking for? 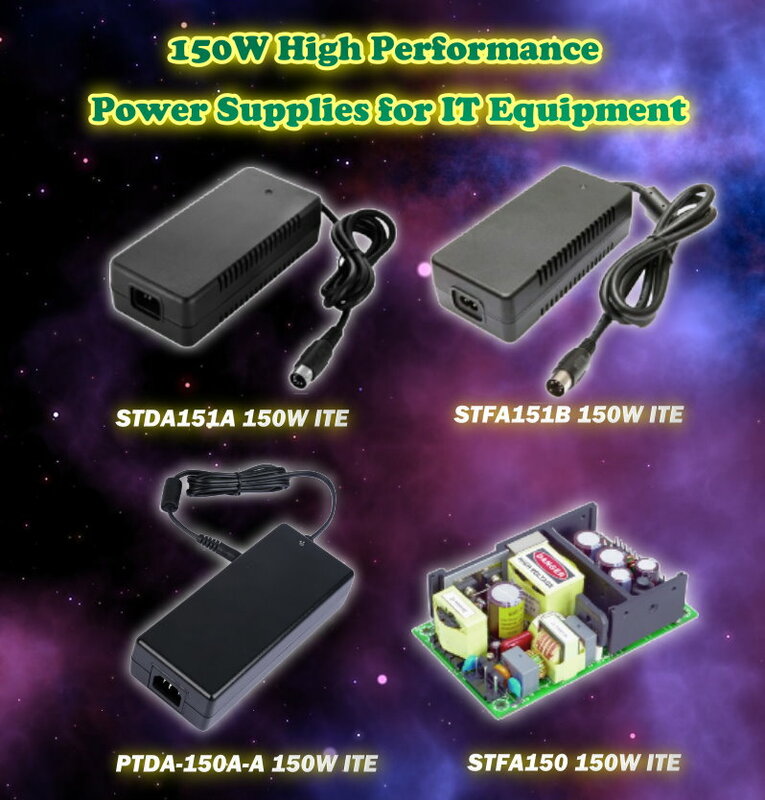 At MEPOS Electronics, we are glad to present you our 150W High Performance Power Supplies for IT equipment. MEPOS offers fanless desktop/open-frame models to suit different applications. Multiple protections such as Over Temperature, Over Voltage and Short Circuit Protection are built-in. OEM/ODM design and detail information are available upon request. 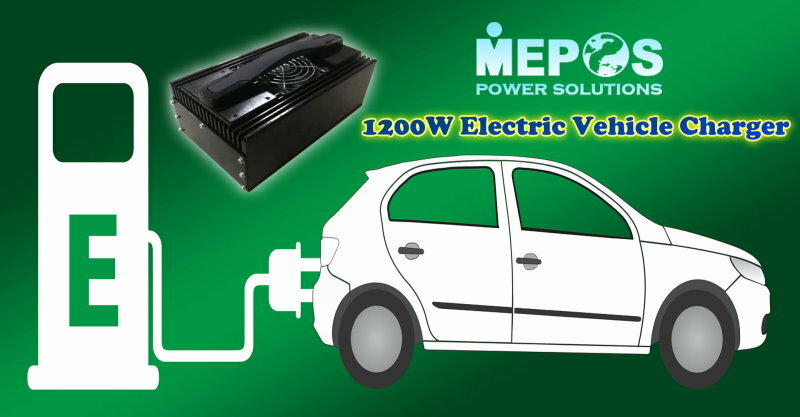 At MEPOS Electronics, we are glad to present you our 1200W Charger for Electric Vehicles. This EV Charger can be operated with common electric outlet (input: 90~240VAC / 45~66Hz) and provide 1200W DC output, peak 94% efficiency, and 0.99 power factor. 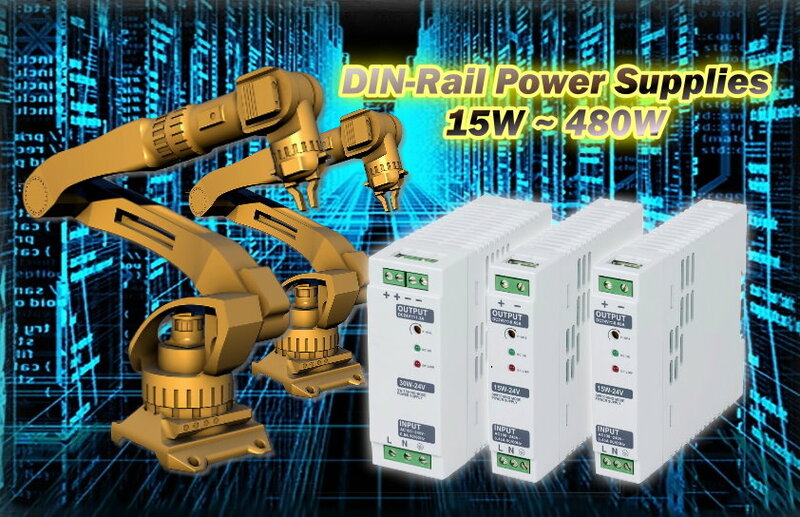 Multiple protections such as Over Voltage Shutdown, Short Circuit Proof, Inrush Current Limiting Fuse, and Over Temperature Shutoff are built-in. 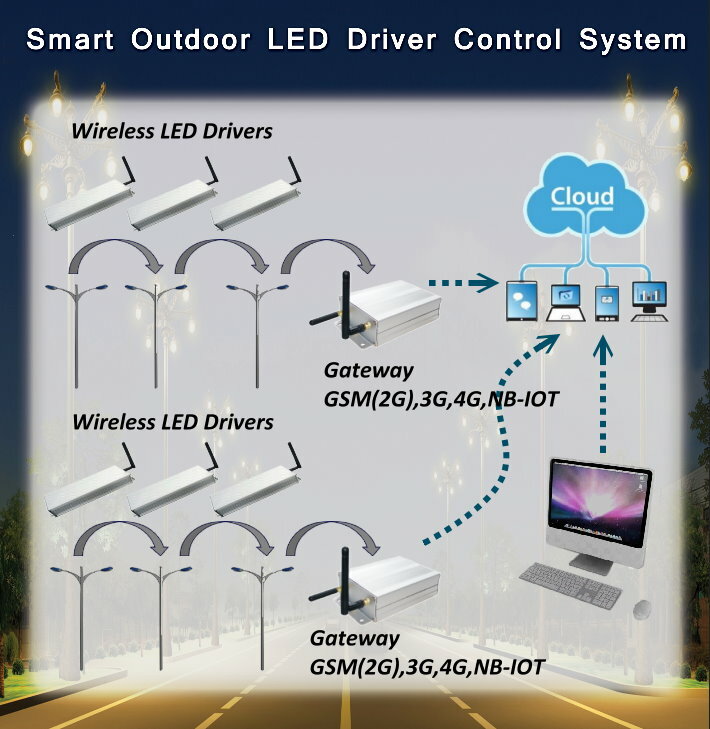 At MEPOS Electronics, we are glad to introduce our Smart LED Driver Control System for LED Street Lights. 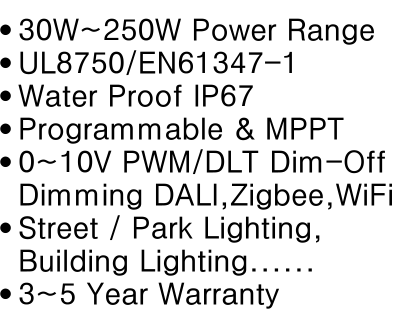 You may wirelessly control and monitor the street lights from a mobile station by using internet and GPRS network. Please review our YouTube slide show for details. 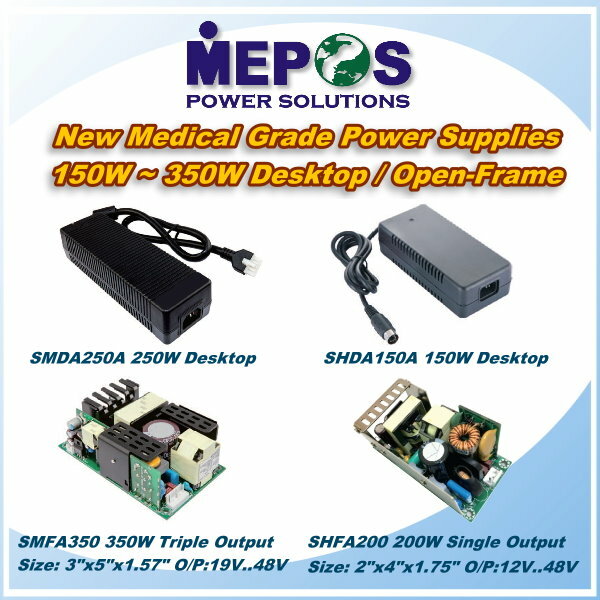 At Mepos Electronics, we would like to introduce our up-to-date 150W~350W Medical Grade Power Supplies with desktop, open-frame options. They perform high reliability with ultra-low leakage current, 2MOPP, over current, over voltage, and short circuit protections. 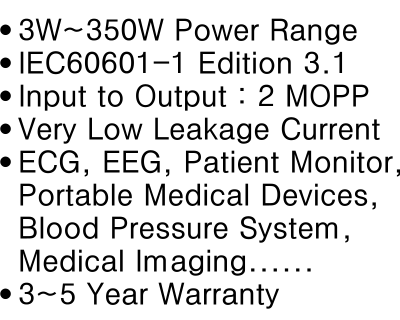 Up-to 5 year limited warranty is available. 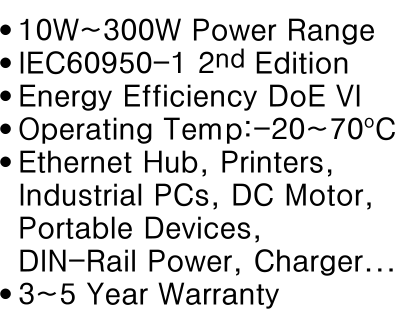 SMFA350 350W Triple Output / 3"x5"x1.57"
SHFA200 200W Single Output 2"x4"x1.75"
At Mepos Electronics, we would like to introduce our New 15W-480W Din-Rail Power Supplies for Automation Systems. 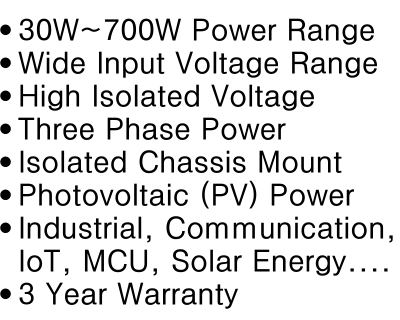 They perform high reliability with over current, over voltage, and short circuit protections. They have built-in EMI filters and free air convection design within the operating condition from -25 to+70 °C and wide input range. We also offer different types options for industrial uses, eg. 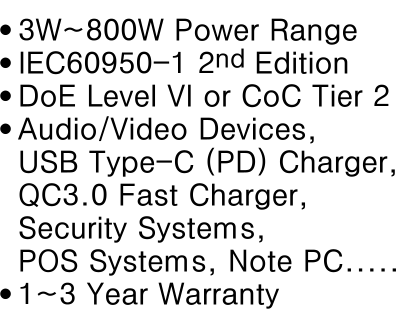 desktop, enclosed, wall-mount, open-frame, and U-bracket etc. 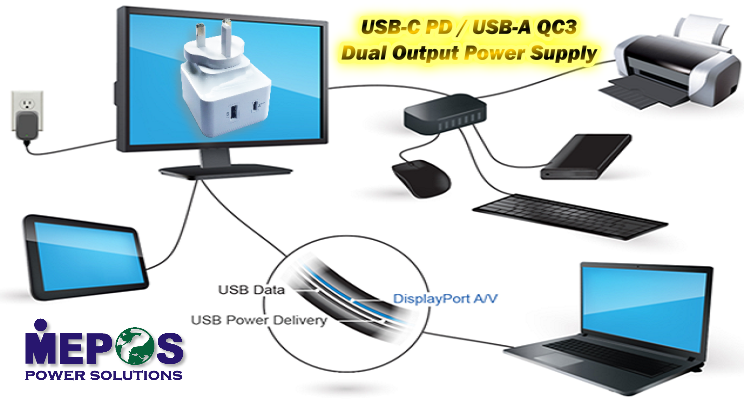 At MEPOS Electronics, we are glad to introduce our USB Type-C/Type-A Dual Output Power Supplies for general electronics.The USB-C POWER DELIVERY (PD) Adapter offers fast and efficient charging anywhere around the world and an integrated USB-A with QC3.0 for the advantages. Color options available in Black or White. Please contact us for more information. 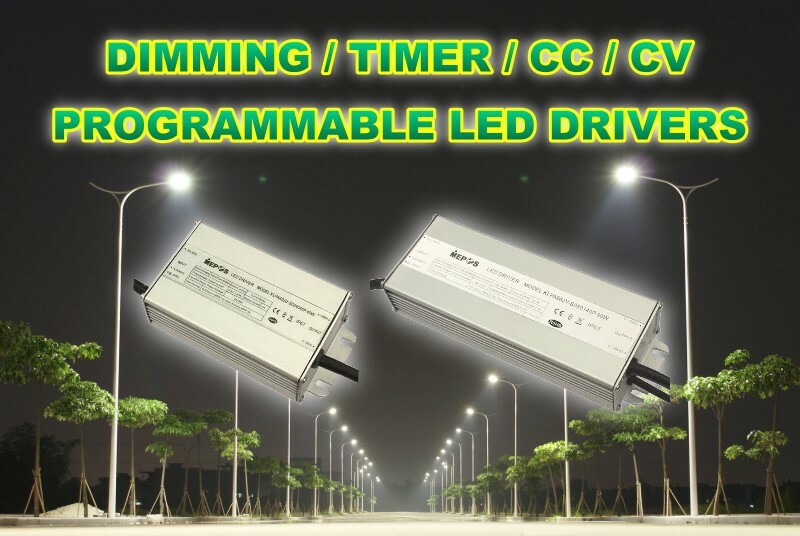 At MEPOS Electronics, we are glad to introduce our newly developed LED Drivers with options of NFC Programmer / Dimming / Timer / Constant Current / Constant Voltage. One model can fit many different requirements for your better customer satisfaction and your optimized inventory control. Please review MEPOS product lines for details.